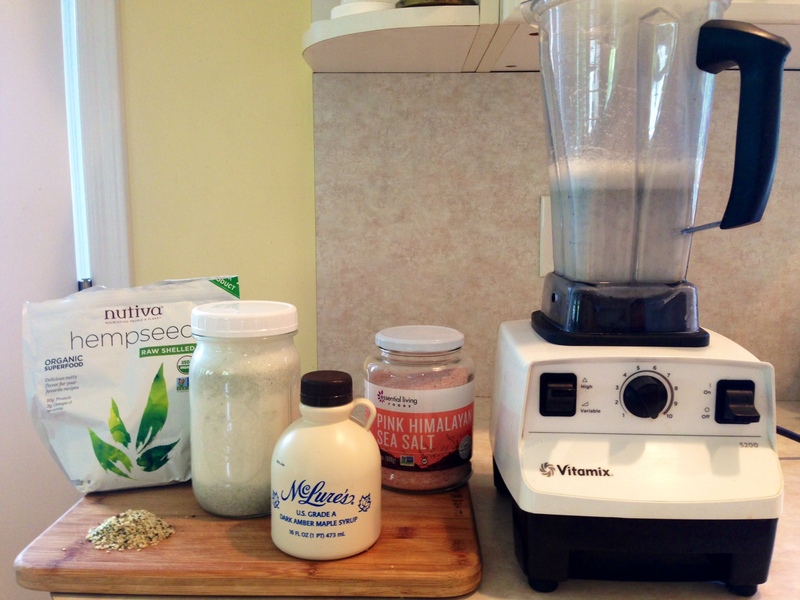 Making your own hemp milk is easier and less expensive than buying it. Plus you don’t get all those crappy added ingredients when you make your own. Most especially carageenan, a processed seaweed derivative, which is correlated with colon cancer, is known to destroy epithelial cells and to promote inflammation in the digestive tract. I use Nutiva shelled hemp seeds which I buy from vitacost.com at a discounted price. I mostly use my homemade hemp milk for smoothie making, in which case I skip the maple syrup. I also use it to make Chia Seed Pudding, Guilt-Free Chocolate Pudding or any other recipes that calls for nut or seed milk. I often halve or quarter the recipe, as I do not normally use 3 cups of hemp milk within 4-5 days. Half recipe: ¼ cup hemp seeds, 1 ½ cups water ½ tablespoon maple syrup, pinch sea salt. Quarter recipe: 2 tablespoons hemp seeds, ¾ cup water, a little less than 1 teaspoon maple syrup, pinch sea salt. There will be a tiny bit of a very fine sediment that falls to the bottom of the jar of your homemade hemp milk. This is edible and is not grainy or displeasing to drink. 1. Place all ingredients into a high-powered blender and blend for 60 to 90 seconds or until ultra smooth. Store your hemp milk in the fridge for up to 5 days. Use it in recipes wherever milk is called for.